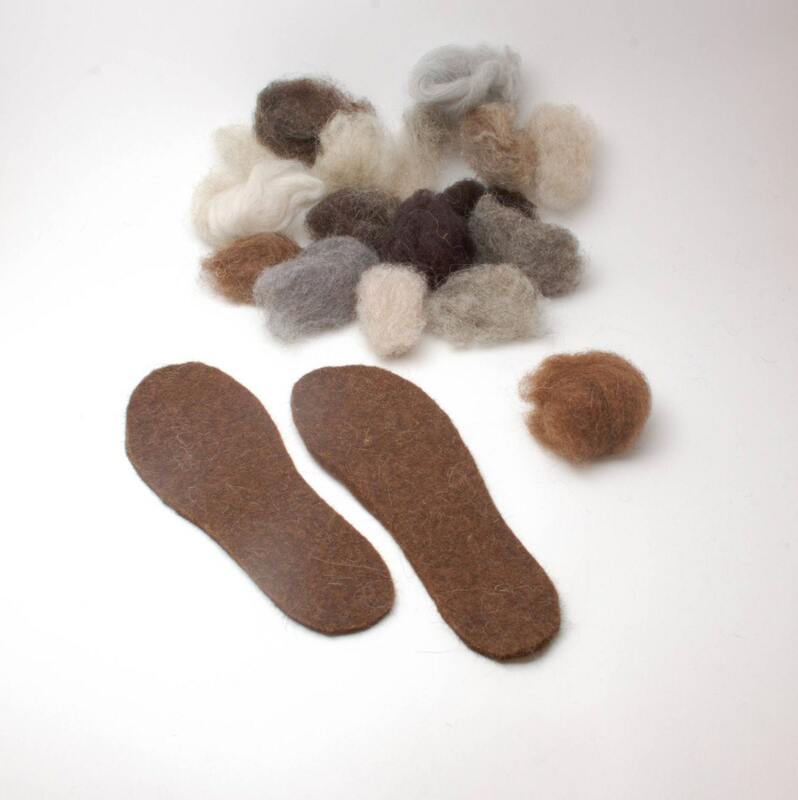 100% organic wool felt insoles. 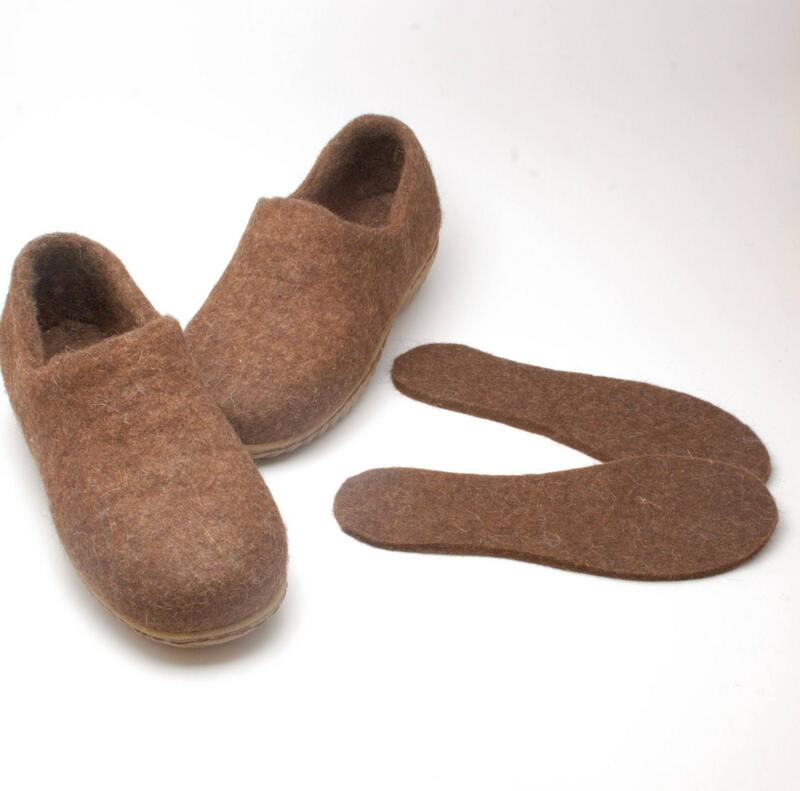 These wool boot liners are made from the same wool which is used for felted boots. All wool is organic, not dyed, not chemically treated. 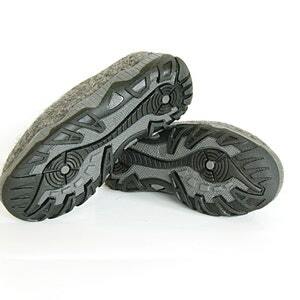 These insoles can be a good addition to Woolenclogs or for any of your boots, shoes, slippers. 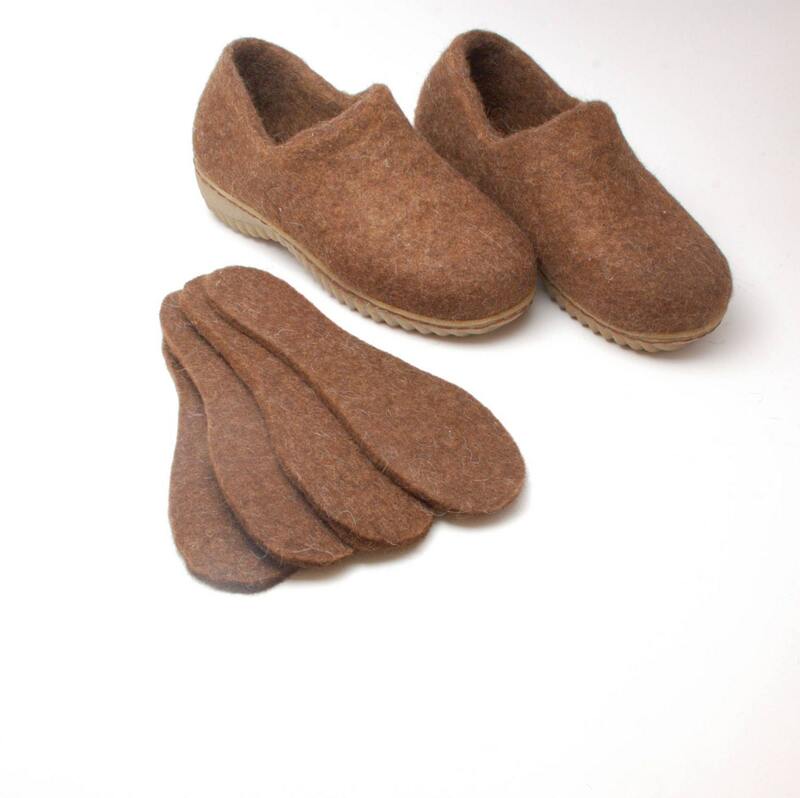 Just put them into the shoes and feel the warmth and gentle massage of natural wool felt. 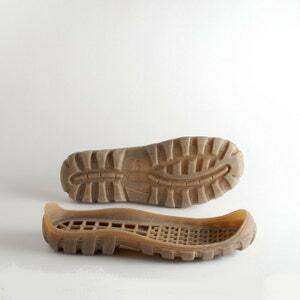 Thick insoles can be used to fix the size of woolenclogs, when they stretch a bit after long wearing. 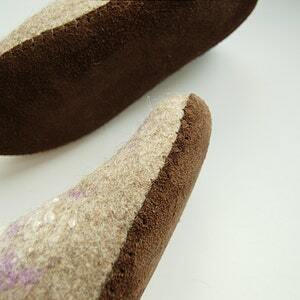 Wool felt insoles are warm, natural and eco-friendly. 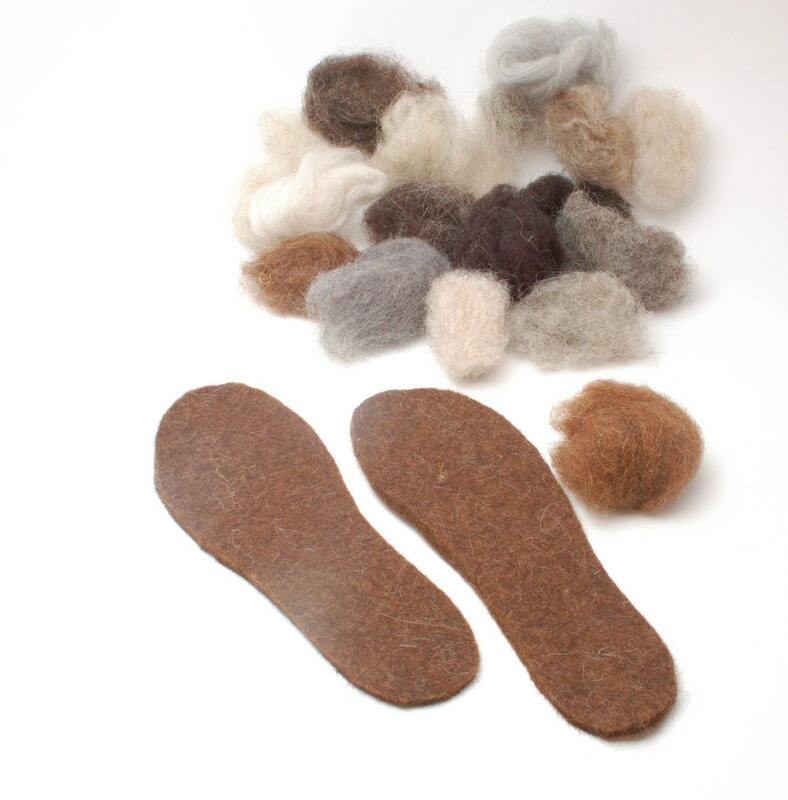 100% wool felt is breathable, and provides natural insulation that keeps your feet cool in the summer and warm in the winter. 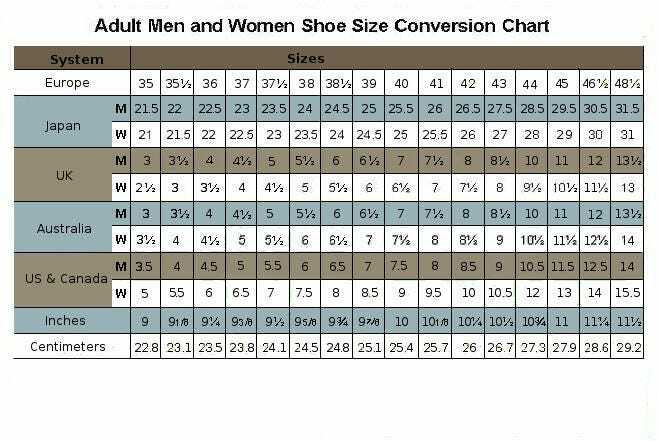 The insoles are made using the same wet felting technology as shoes and slippers - only water and olive oil soap are used in the process. The size can be easily corrected by cutting with sharp scissors.